"If you're a bit of an Oxford aficionado like me, you'll want to pause, hover and peer just a little closer at this collection. Finer and lighter than the average Oxford, while remaining equally durable and soft, they're made for people who want to be swathed in this wonderful cloth all year round." 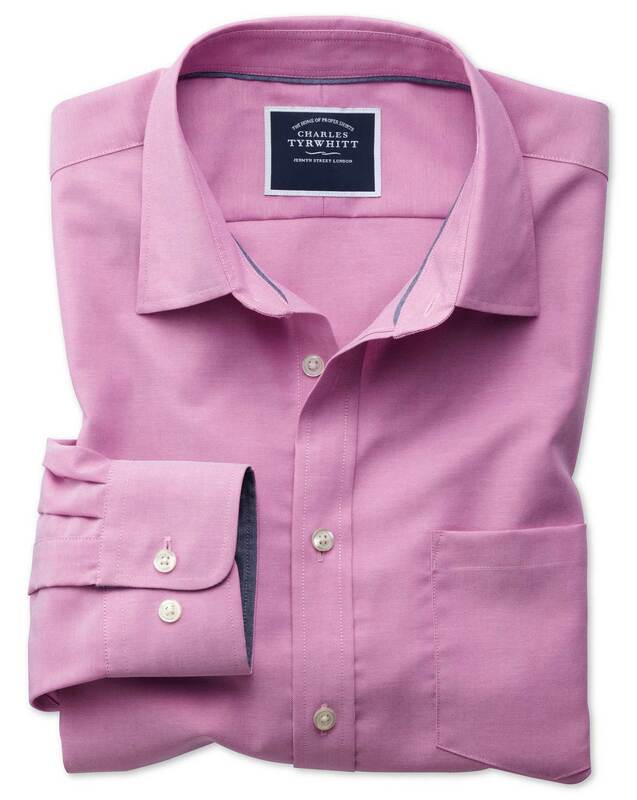 "Non-iron – Wash, hang and wear, just like our formal shirts. Why should your weekend be less relaxing than your week?" Custom sleeve length (inch): Custom length 28" 28.5" 29" 29.5" 30" 30.5" 31" 31.5" 32" 32.5" 33" 33.5" 34" 34.5" 35" 35.5" 36" 36.5" 37" 37.5"
The traditional collar shape, the classic collar is a safe bet for any formal. This collar is our most traditional shape, and a Jermyn Street favourite, and most tie knots will sit beautifully with it. The Charles Tyrwhitt Slim fit is trimmer at the waist than the Classic fit, and has slim sleeves and a more defined silhouette. Back pleats enhance movement and comfort, while level shirt tails at the front and back mean you can wear this shirt tucked or untucked. This is our most standard fitting shirt, and it suits most shapes and sizes. Nice rich color and quality fabric. Great quality and fit. Thanks! Nice Oxford made with good quality. Fit isn’t as slim as dress shirts and sleeves are a little long. Overall very pleased.